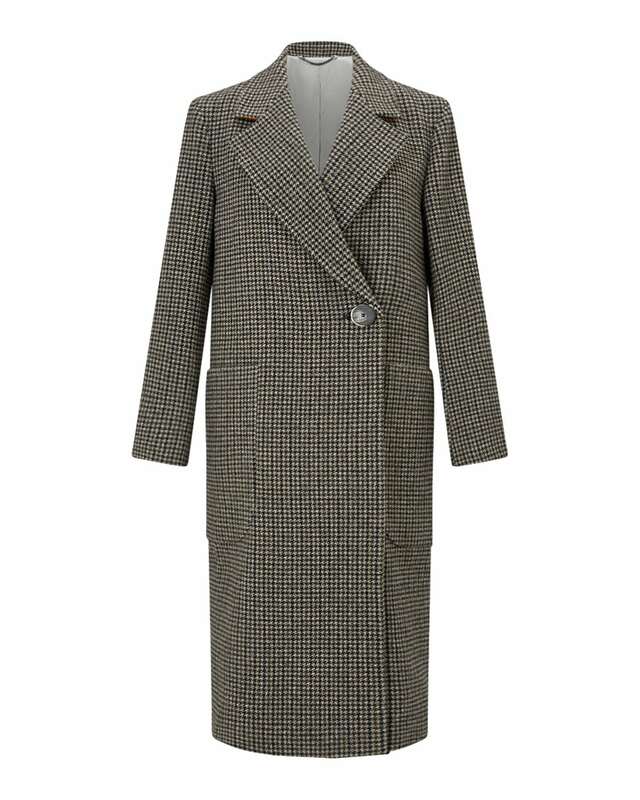 Coat: £69, Marks & Spencer. Bag: Sandro (old). Tee: Gap (old). Jeans: Gap (old). Shoes: Mango (old). Photograph: Christopher O’Donnell. 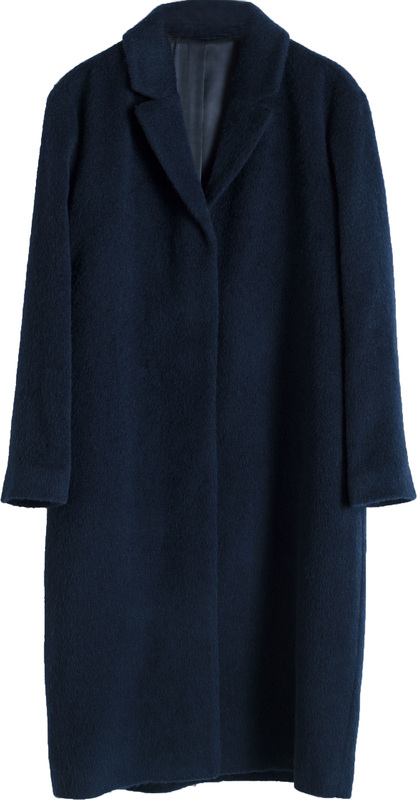 If I didn’t already purchase the blue coat above, this one would be on my list! 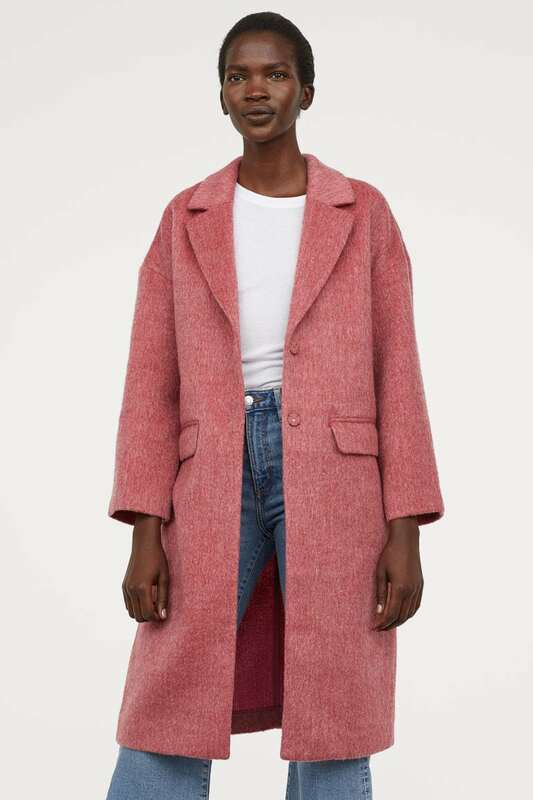 Marks & Spencer has some amazing coats at the moment and I found this on a shoot I styled recently, I tried this on and it really is an amazing, oversized fit. And great value, too. I saw this in store whilst rushing past a few weeks ago and loved it, it is a great cocoon-y shape and looks far superior quality to its pricetag. I really don’t like the way it’s styled on the site (with gold velvet trousers), this is screaming out to be paired with a great pair of navy or black wool trousers, chic flats like a pair of loafers and a minimal tote. I think this one is sold out online but is still available in store – I saw it! 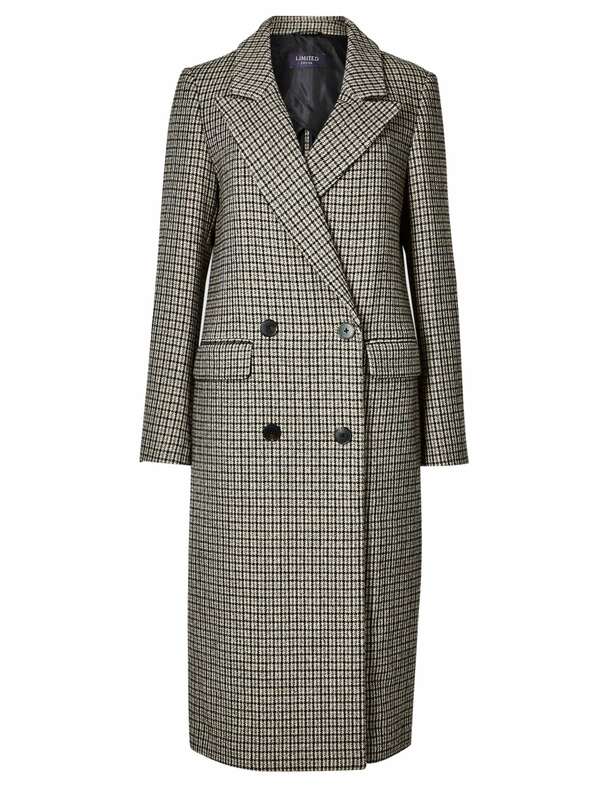 Coat: £169, And Other Stories. 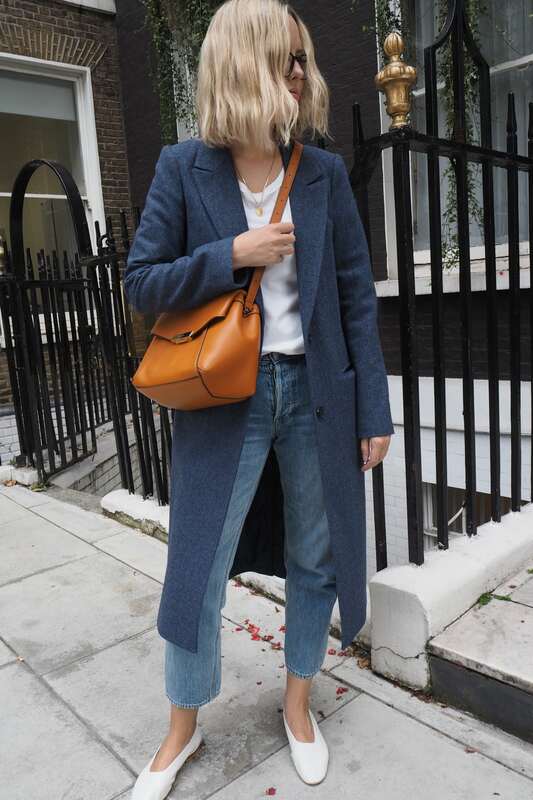 I have an oversized coat from Whistles from about 5 years ago and it is still my favourite one that I’m always drawn to. This is as similar as I could find…enjoy! The great thing about a navy coat is that it is a great ‘evening’ coat to sling over dresses as well as more masculine tailoring. 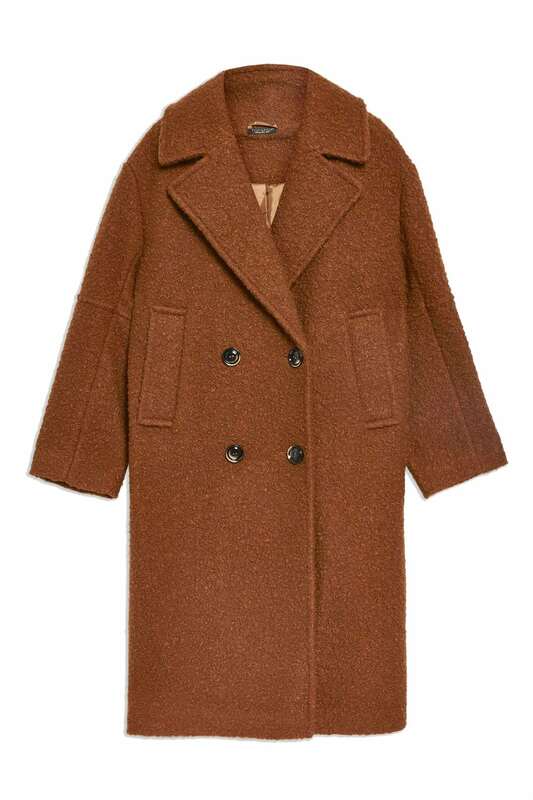 Never in my dreams did I think I would be telling you, dear reader, to buy a brown coat. but, here we are. 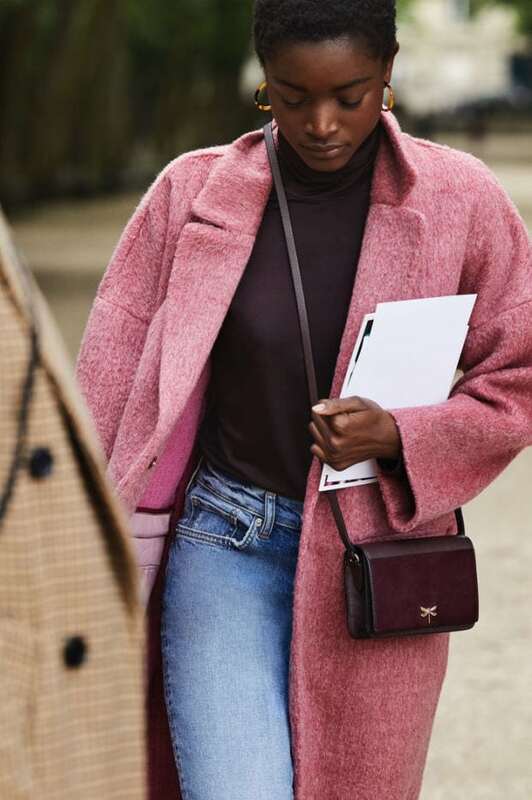 I think we’re definitely moving towards an oversized silhouette at the moment and this colour would look really 70s with denim and a great crossbody bag (dare I even say colourblock with a tan/ocre bag? ), and I’d clash with a bold pair of trainers, like my red New Balance. This is definitely the most expensive coat in the edit, but the quality is amazing (I have a leather biker from Jigsaw which has lasted and lasted), fully lined and with red under the collar – it will last a lifetime. I actually have this coat and am shooting it this week (as part of a paid project) – but wanted to include it here as it is truly lovely. I almost didn’t include this coat when I saw it was Per Una….! That can’t be right, can it?! That section of the store always looks so dodgy! But this, I must admit, looks pretty spot on (pun intended). 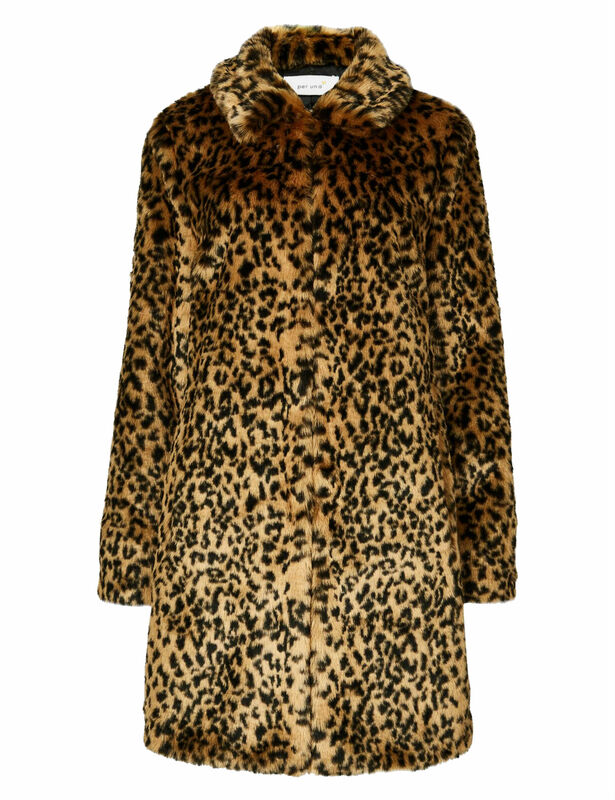 I have two faux fur leopard coats (one shorter Mango one, one maxi from M&S) and they are so easy to throw on with jeans to make you feel like you’re pulled together when mostly, you’re not. And leopard is having another HUGE moment right now (I mean, when is it not? ), so now is a great time to invest. THIS COAT. What gorgeous colour! And only £49.99. 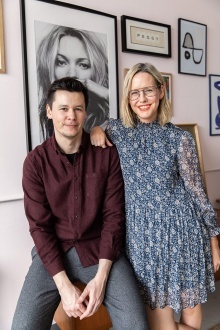 H&M give some great styling ideas here as well…keep the rest of the look simple. 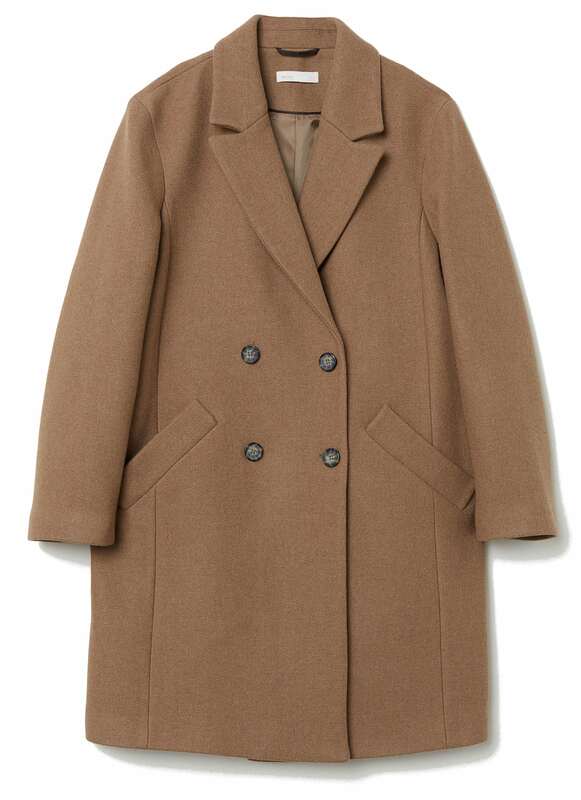 I’m well aware that these coats are the kind of style I’m looking at right now, so there aren’t too many uber practical hooded versions here (sorry!) but hope you found some inspiration all the same. I’m a classic type of girl, so I would go for the blue! I don’t think you can ever go wrong with a classic, right? !